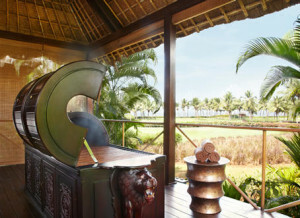 Authentic Ayurveda with a Five Star Service! Home / Blog / Authentic Ayurveda with a Five Star Service! When a Westerner travels to India looking for an Ayurveda treatment center, what is he/she looking for? And what is what he/she finally gets? Is a small room inside of a Doctors consultation more authentic and better than a brand new luxurious Ayurveda center or Spa? The truth is that small Ayurveda centers are the most common in India. They focus on offering the best and most authentic treatments, but most of the times with a very poor infrastructure, a poor eye for detail and very often with hygienic conditions that will not live up to your expectations. I have been traveling around India during the last 13 years of my life and I can tell you that I have found great doctors, great Ayurveda schools and centers, and wonderful people all around. But I can also tell you, that as Thailand and Indonesia are famous for their quality of service and for their absolutely great attention to small details, in India (and please, talking in general is not talking about everyone), I cannot point out these qualities. Ayurveda is one of the greatest and most effective traditional medicines that exist. Why then are Thai or Balinese massage, that have their origins in Ayurveda, so famous and practiced all around the globe, and treatments deriving from Ayurveda that is the mother of all medicines are not? There are multiple answers for it, but in my opinion as a Spa Consultant , physical therapist, and expert on traditional medicines, the most important answer is because most of the times in India, they do not know how to wrap the product. Sounds very simple, because it is very simple. Fortunately, the new Indian generations of doctors, Spa managers and Ayurveda school directors, are changing the rules. During this last month I have been traveling all around India, visiting many Ayurveda schools, doctors, and Spas, and fortunately I start seeing a change. Three days ago the General Manager of the Park Hyatt Goa, kindly invited me to visit the hotel and Spa installations, and what I found surprised me in the best of the manners. I am going to tell you about my “experience”, but in a very general manner, as I do not want to reveal their Spa protocols and competitive advantage, that makes them one of the top Spas in the world, year after year. First of all I am talking about an experience, because a simple treatment at the end is one of the hundreds of activities that we consume during the year, and we will easily forget about it in a short period of time. But how many impacting experiences do we have during the year? And an experience is something that we do not forget easily, and at its best it is something that you talk about again and again when the occasion comes. And this is good for your business and great for the worldwide image of Ayurveda. At this point, we all have clear that the treatment should be an experience, but how do we convert a treatment into an experience? The moment I entered the garden on my way to the award-winning Sereno Spa entrance, the experience started by an easy stimulation of my five senses. My eyes and ears perceived the beauty of the flowers, the singing of the birds and the sound of running water all around, a big frangipani tree protecting the entrance of the Spa covers the surroundings with its wonderful aroma; a warm welcome from the Spa Team that offered me a drink refreshing my taste, after which they took me to the Spa manager´s office where he, as one of the Ayurvedic doctors of the Spa, nicely received me for an exhaustive diagnosis about my body constitution. After this the person in charge of accompanying the guest took me to the changing room, where every single detail was to be found: shaving machine, perfume, tooth brush, etc., every single detail that a man could need for his personal day care. Once I got my bathrobe and slippers they guided me to a comfortable sofa were I waited no more than a few seconds until my personal therapist came for taking me to the treatment room. And what a treatment room! 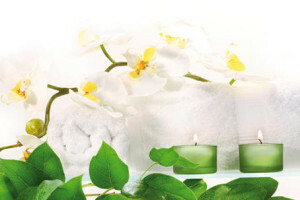 There are millions of ways and styles of decorating a treatment room as modern, traditional, Ayurveda, Balinese, Tibetan, etc.,but there is only one way of doing it properly: clean, spacious, good quality of sound, temperature, light and humidity, comfortable, useful, and sense stimulating and relaxing, no matter what style of decoration you choose. And this one, in a very beautiful Ayurvedic style had all these attributes. After marvelling the room in itself, the dream become true and following all the “must” of Spa protocols, the therapist started the treatment. I promised not to reveal the secrets of the Sereno Park Hyatt Goa, and I will not do it, so if you want to feel a real WOW experience and a five star service in an Ayurvedic environment, then you definitely should try it by yourself! But for those Spas or Treatment Centers in India, regardless of how big you are or how much budget you have, who really want to offer a five star service, here you have my brief consultation and a lot of work to do. I promise that if you follow these 6 tips properly, you will get fantastic surprises, great feedback from your customers and at the end, a great profitability of your business. Money do not buy my love: If you think that only big companies can afford a five star service you are totally wrong. I have been in wonderful 5 star hotels all around the world who offered me a very poor service, and in very small and modest massage centers who transported me to heaven. If you have a small Spa, you can also make it. Quality of service is not about money, it is an attitude and a way of life and a being dedicated to the client. Your outside reflects a part of your inside: So if you want to generate a good first impression, then your image should be impeccable. And when I am talking about impeccable, I am refering to that everything should be as clean as a surgeons room. Would you eat from the floor where you are standing? If your answer is no, then keep cleaning. The floors, the walls, every object, the tables, your uniform, your hands, nails, hair, the linen, the toilets and changing rooms, the small figure that you have on the table, the cleaning cloth, etc. should be clean. And how will you know if everything is clean enough? Making protocols and regular quality tests. Minimum one time every hour. Control, control and control: Yes, if you want to offer a 5 star service, you need to control all the procedures of your Spa, and to control all these procedures, first you need to know what you want. If you are the Director of the Spa and when they hired you nobody told you that a Spa should have strict protocols for every single procedure, (the treatments, welcoming and farewell, emergency and first aid, customer complaining, gym and yoga room, etc., even the smallest details such as when to smile, how to smile, how to control the personal hygiene of the therapist, nails, etc….) then you have two choices, first: do not wait longer and do it by yourself, or second: contract someone to help you to do it. But everything should be written in the protocol manuals, because that way, nobody can tell you that they did not know what to do or how to react. If you want to control and manage your Spa properly, then everything should be in these manuals. Identity, Culture and Philosophy: Do you know who your Spa is? Do you know what your Spa wants to share and what it wants to tell the world? Does your team know?As I mentioned in the last point, protocolizing every procedure makes you control your Spa. But controlling without understanding the Why´s, makes your team confused and sometimes this can create discomfort and internal tensions. Think about who your Spa is, and why it is like that, what your Spa wants to share with the world, what is your Spa identity, why it is called like it is, why the logo, your corporative colors, what your Spa principles are? You have to create a culture and a philosophy and everyone in your team has to feel that culture as a part of their lives. It will give you a unique identity that will make you different from others and it will give your team something to believe and to fight for. As mentioned before, make a manual with all these factors. Something that a even new team member can read, follow and understand. This will be an experience manual, so do not be afraid to talk about feelings. Where are you, where do you want to go and how are you going to reach there? Sometimes we do not think about these 3 questions, and we only want to work hard and properly, but remember that different persons have different points of view, and what is obvious for me, is maybe not for you. So, please, remember that there are no obvious aspects in your Spa. That is why it is very important to know who we are, where we are in relation with others, where we want to go in the next 1,3 and 5 years and what tools we are going to use to reach our goals. Sometimes our goal is selling more treatments, sometimes it is just to have a better treatment menu, sometimes it is just to keep working at the same level, sometimes it will be to create a great brand image,sometimes it is not the goal of the Spa but the goal of the entire Hotel (when we are talking about a resort Spa). So if you and your team know where you are, where you want to go and how to reach your goals, everything will get easier. There is nothing more frustrating than seeing a boat in which everyone is rowing in different directions, spinning around. Keep this in mind. Small details make the difference. And this is my last advice, that is the sum of all of the other 5 points. As I told you before, “money cannot buy my love”, but details can do it easily. When I am receiving a treatment, facedown, and I look through the face hole of the massage table, I want to see something nice. Like a beautiful bowl full of water and flowers, the perfect pedicure of the therapist and the impeccably clean floor. I´m talking about the music, the aroma, the light, the therapist calling me by my name, compensation in case I have to wait more than 10 minutes, receiving an email congratulating me on my birthday and giving me a special offer, maintaining my privacy at all times, the silence and the singing of the birds or the flow of the water accompanying me in my treatment, every therapist knowing perfectly what to do and how to react in every moment, etc. I could keep writing and writing about millions of small and not that small details, but key attributes of a good Spa director should be creativity and constant innovation, so I prefer to let you think about all these concepts and I am sure that you will think of many more. Be creative, be brave, be what your Spa wants to be! Because the Spa and Five star service is not something that you learn once and you do it, the Five Star Service is a dynamic way of living that is constantly changing, and this is why you need to readapt yourself, keep learning, improving, moving and at the end, to create new experiences and to surprise your clients. Good luck!